The original concept for Bottled Ocean was founded over fifteen years ago in response to the lack of quality service and maintenance available in the Orlando area. 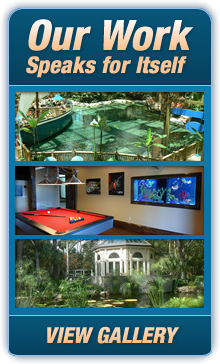 Today, the company has a full-service fish tank and aquarium maintenance department for cleaning and servicing aquariums and live animal waterways throughout Orlando. With several trucks on the road daily, Bottled Ocean services both business and residential aquariums. We are so confident in our ability to provide superior service that we are currently offering 2 Months Free Maintenance when you sign up for 12 months of service. 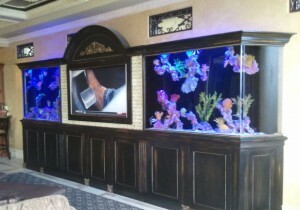 Our aquarium service includes weekly visits for saltwater customers and bi-weekly visits for freshwater customers. Our service technicians work in teams, and are highly trained aquarists. Many also have degrees in Marine Biology. If you’re interested in having the cleanest, most fish-friendly tank in town, just put Bottled Ocean to the test with no long-term obligation. We guarantee you’ll be glad you did. 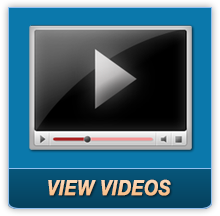 For service questions and maintenance quotes, please call 407-963-6521.